Driveways have been popularly concreted or gravelled for many years, but slowly decorative paving techniques have started to break into the market. Known as pattern imprinted concrete, a design is stamped into the mould with colours added too for decoration. Any design can be created, giving you the ultimate choice for your home’s exterior. With pattern imprinted driveways you also have the opportunity to resemble another surface, such as slate, granite, cobbles and even block paving. However, with your own imagination you can create something that’s visually stunning and aesthetically pleasing. With minimal maintenance required, pattern imprinted driveways have become a superior force on the market and can last a lifetime for little hassle. 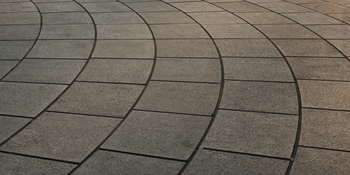 These patterned driveways are created with the highest quality of material. Fibre mesh reinforcement is contained in the concrete and once sealed it’s 25% stronger than normal concrete. Patterned driveways add something different to your home; creating a unique look with any design you can put your mind to. If you’re interested in this strong, aesthetically pleasing style, complete our quick form and receive up to four FREE quotes from, local, vetted and reputable professionals. Project: Block paving removal. Then concrete imprint path and patio laying. Project: My driveway redone from gravel to pressed concrete with a gutter and small edging. Very professional. Explained the work to be done very clearly and answered our questions equally clearly. Provided addresses of other work in the area which we could look at and check on the standard of his work. Properties are given an energy rating dependent on exactly how efficient they are and ratings are presented in the information beneath. This varies from A, the most energy efficient, to G, the least efficient. With a higher rating you're more likely to have less costly energy bills as more heat will be kept in the house. You can boost your home's efficiency with insulation including upvc double glazing, loft lagging or wall cavity insulation. There are several types of home in the UK and the data underneath highlights the type of houses within Uk. Throughout the country the most common housing types tend to be semi-detached and terraced housing, however detached homes, flats and bungalows are also available. The pie chart below illustrates the proportion of houses in Uk that are central heated and non-central heated. Central heating figures in the the greater part of UK properties, which includes those on the gas grid and properties heated by oil and electric. The information below reveals the spread of homes heated by various fuels. Around the United Kingdom the most common hands down are gas heated homes, followed by electricity and then oil. Biomass central heating boilers are also growing in popularity, heated by environmentally friendly products like wood pellets or agricultural waste.|Homes in Britain are heated by a variety of fuels, such as gas, electricity, oil, solid fuel and LPG boilers. Each fuel has a varying cost associated with it so you might find yourself with cheaper energy bills by changing how your house is heated. Even solar thermal panels are being considered by many as a way to reduce heating bills for the years to come.